IMAGES: Supernatural 10x21 "Dark Dynasty"
The Winchesters are headed for a clash with the Styne family in these first look images from Supernatural’s May 6 episode. Catch our gallery following these official loglines, via the CW, for “Dark Dynasty” below. Dean (Jensen Ackles) and Sam (Jared Padalecki) investigate a bizarre murder and realize the killer bears the same tattoo as those from the Styne family. Eldon Styne (guest star David Hoflin) attacks Dean and a brutal fight ensues. Meanwhile, Castiel (Misha Collins) acts as referee when Charlie (guest star Felicia Day) and Rowena (guest star Ruth Connell) are forced to work together on the Book of the Damned. Crowley (Mark Sheppard) discovers his mother is missing and knows she’s up to something so he turns to an old enemy for help. 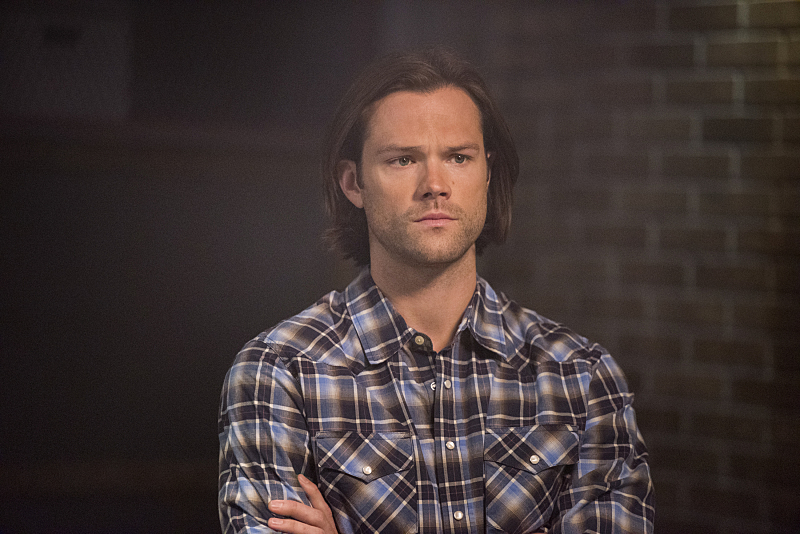 Supernatural -- "Dark Dynasty" -- Image SN1023A_0001 -- Pictured: Jared Padalecki as Sam -- Photo: Dean Buscher/The CW -- ÃÂ© 2015 The CW Network, LLC. All Rights Reserved.